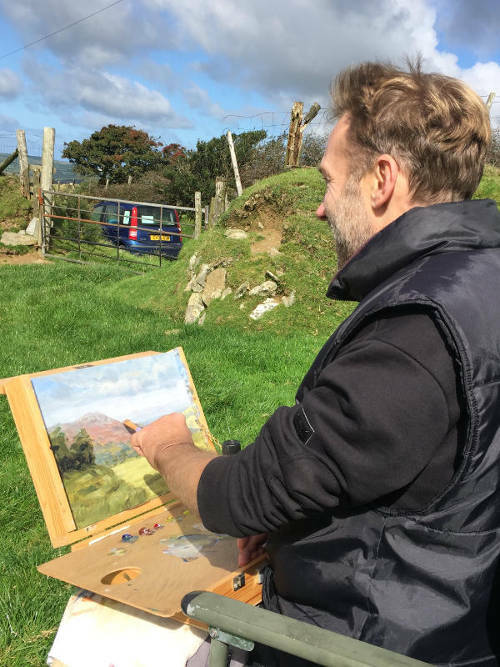 Although the majority of my larger oil paintings are painted at home in my art studio, I spent a good deal of time out in the Welsh countryside gathering reference material, making preparatory sketches and trying out ideas as smaller scale paintings or as drawings in my sketchbook, that I then work into finished pieces back home. 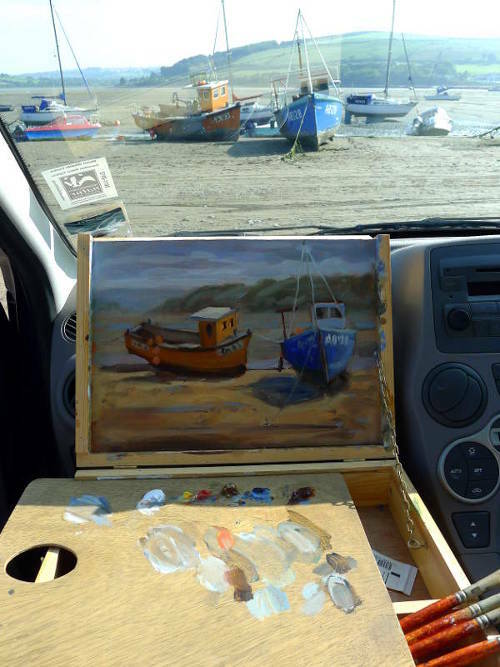 I often paint from the comfort of my car, especially so if the weather isn't lending it's self to outdoor painting. I either open the tail-gate and sit on the back shelf, as in the image right/below, or I sit in the passenger side and paint, which affords me more room, and of course has no steering wheel to get in the way. 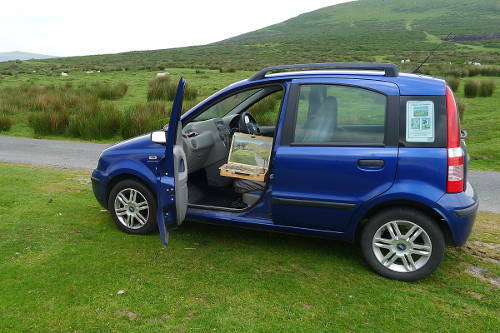 You can watch a video of me painting from inside my car here. I enjoy using many different mediums for this, from small oil paintings made using my pochade box, watercolours directly into my sketchbook, ink line and wash and sometimes just simple graphite drawings. My plein air oil paintings are painted using a beautifully hand made pochade box by Rowley Abbey of Abbey Easels. To find out more about my pochade box and how to get your own visit my 'What Is A Pochade Box? ..And How Do You Use One' blog post. My watercolour sketches are painted into various sketchbooks, my favourite being my Moleskine Sketchbook. These sketchbooks are also where I do my line and wash and my graphite work. 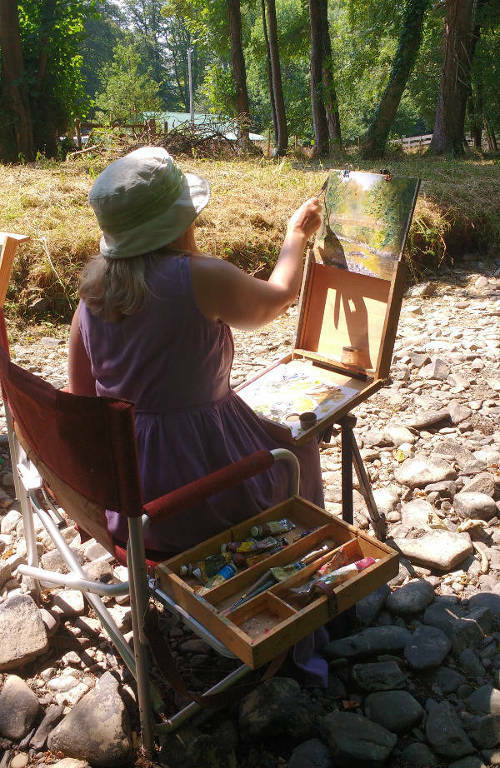 Below are a few photographs from some of my recent plein air painting adventures. Sometimes I enjoy the solitude of painting alone, which is usually the case when I'm gathering reference material for commissioned paintings. Sometimes I paint with friends, fellow artists or my students. It's all very casual and just about having fun painting outdoors, if you'd like to come painting with me get in touch. 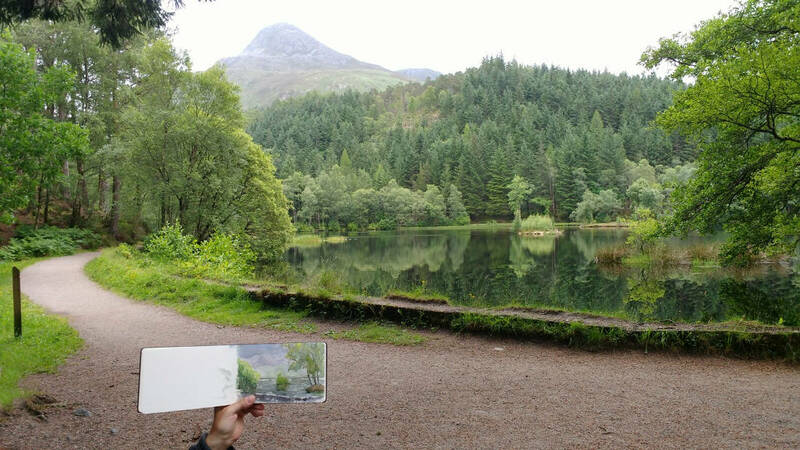 Painting plein air with watercolours in my Moleskine Sketchbook at Glen Coe Lochan, Glen Coe in beautiful Scotland. 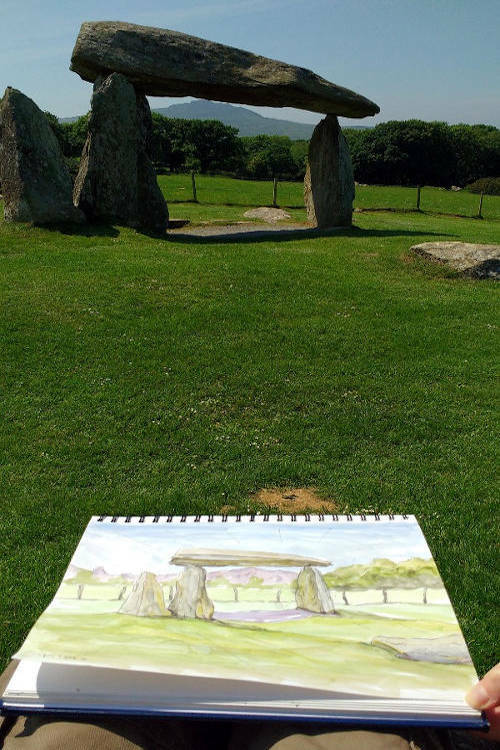 Watercolour sketching at Pentre Ifan, Preseli mountains, Wales. 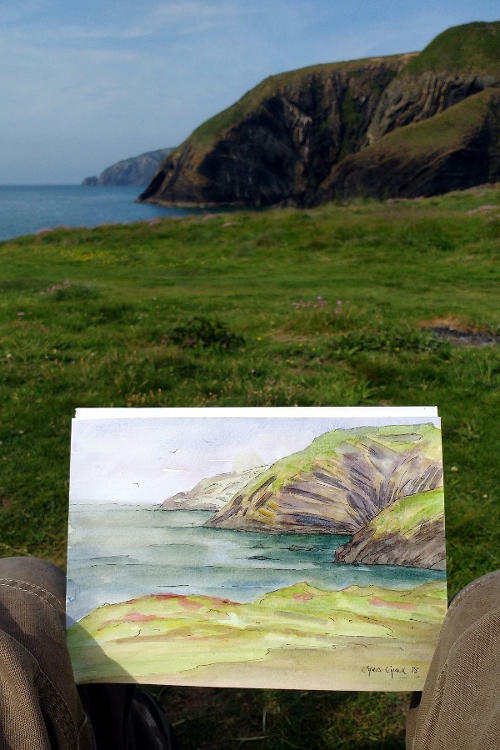 Painting with my pochade box, at Dinas mountain in Pembrokeshire. 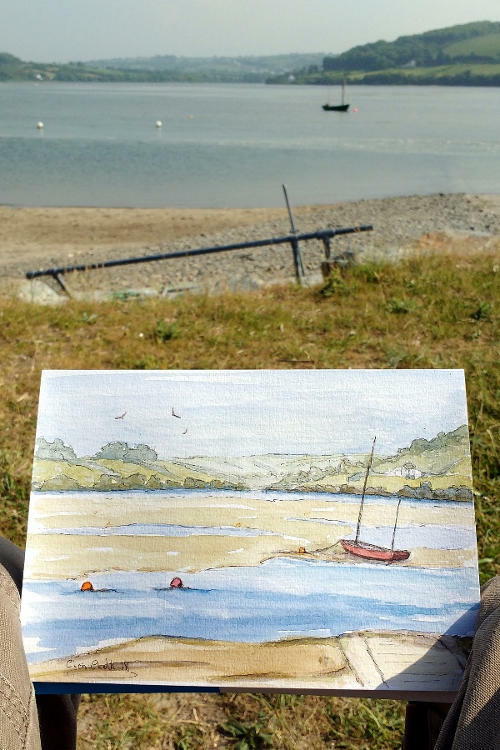 Out with my watercolours, painting the estuary at Gwbert. Painting from my car, a great way to paint in winter or when it's raining. 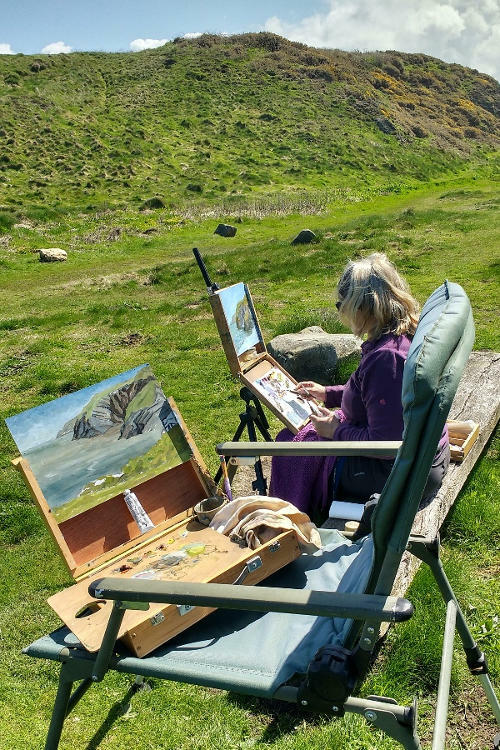 Out with my pochade box ( and fancy chair ), painting in north Pembrokeshire. 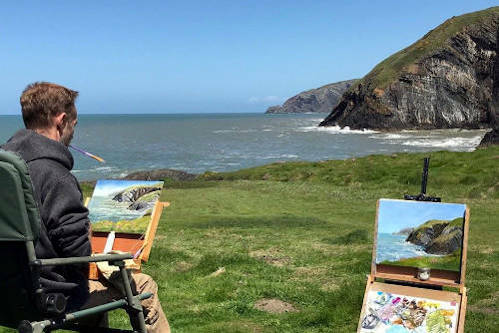 Painting with friend and fellow landscape artist Diane Mathias, on a beautiful summer's day at Llanerchaeron in west Wales. 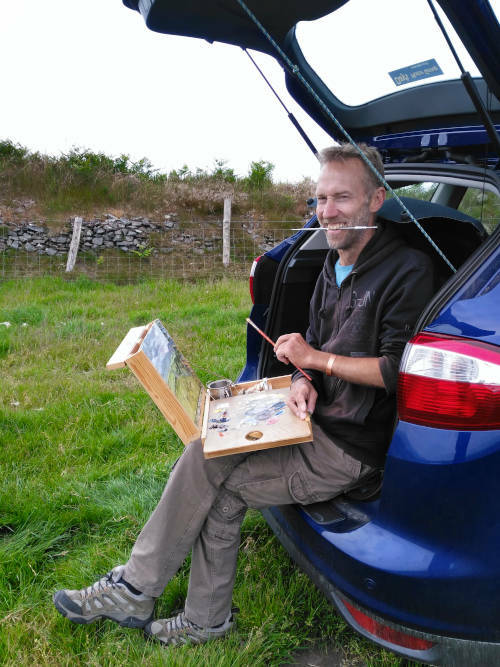 Painting using my pochade box on a day out in Pembrokeshire national park. 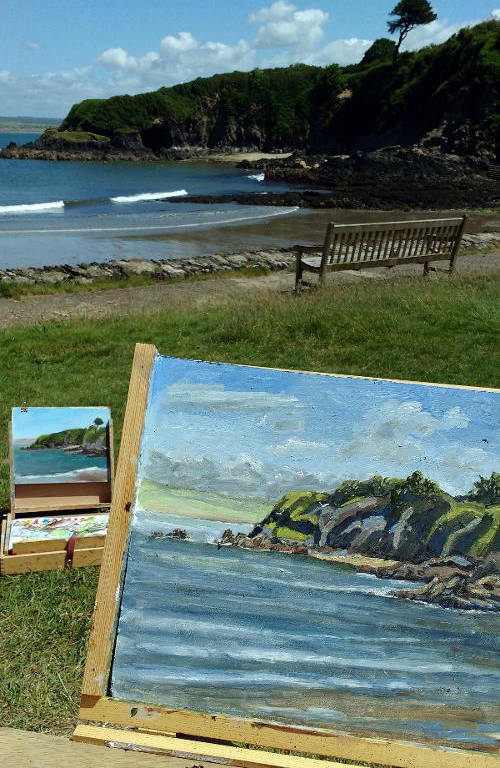 Pochade box painting with friends at Cwm yr Eglwys, Pembrokeshire. Out painting the rugged Welsh coast with fellow artists. 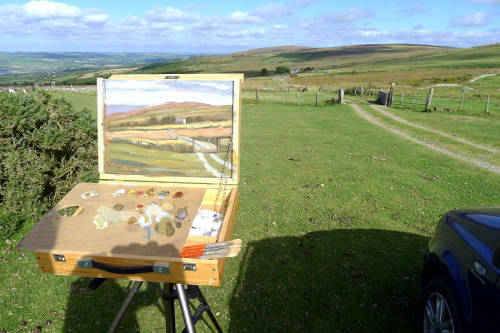 Painting high up in the Preseli mountains in Pembrokeshire National Park. Watercolour sketch of the rock formations at Ceibwr Bay, a favourite places to paint. 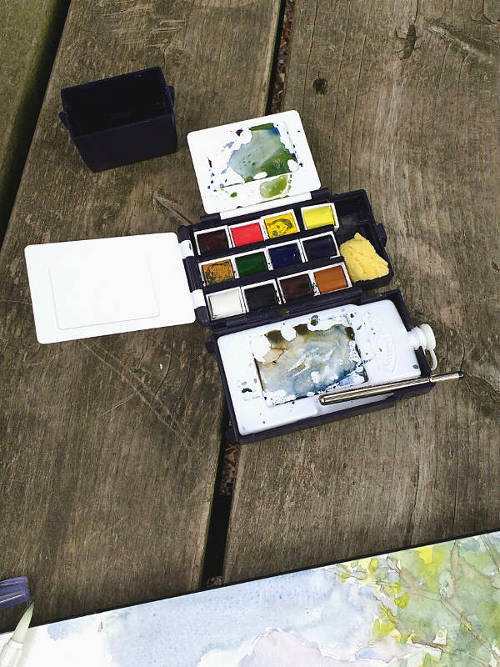 My Winsor and Newton watercolour field set, a compact and ingenious painting set-up. My pochade box set-up, I keep it simple and just use white spirit thinners, paint, brushes and a little liquin.